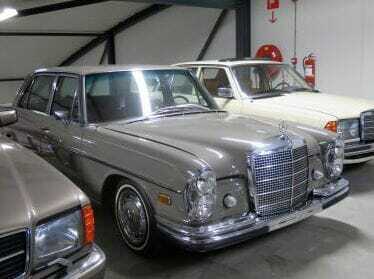 The sixties - The "Ockhuisen" Mercedes-Benz Collection. Every now and then it’s necessary to give a car a new caot of paint. 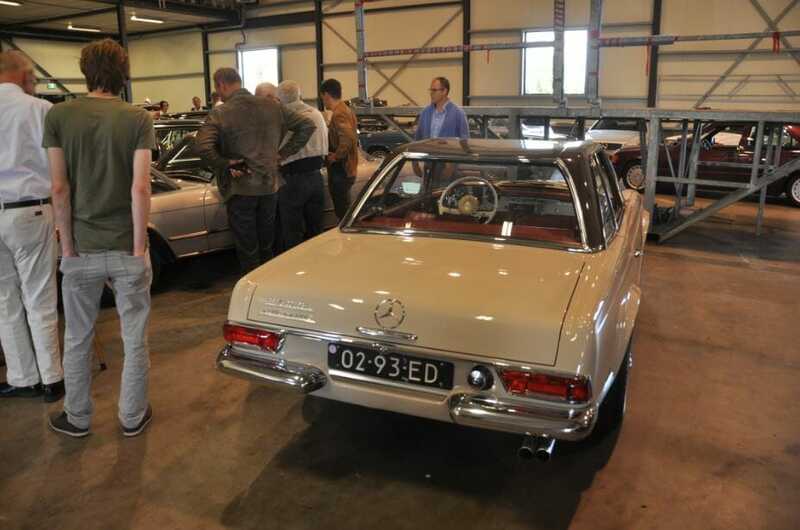 Here we see the W112 300SE being prepared for a paint job, a model that should certainly not be allowed to be missing from the Ockhuisen collection. Refurbishing and maintenance is all done in-house, where throughout the years a lot of expertise has been built-up. 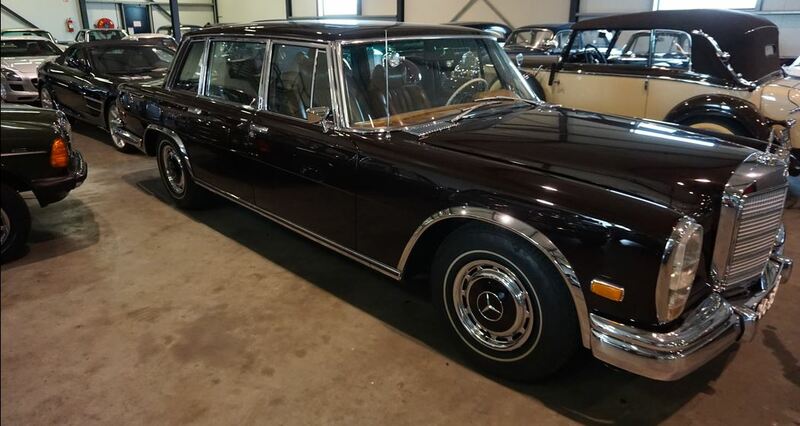 In the mid ‘60s the ‘emperor’ of post war Mercedes models comes to market, the imposing 600. 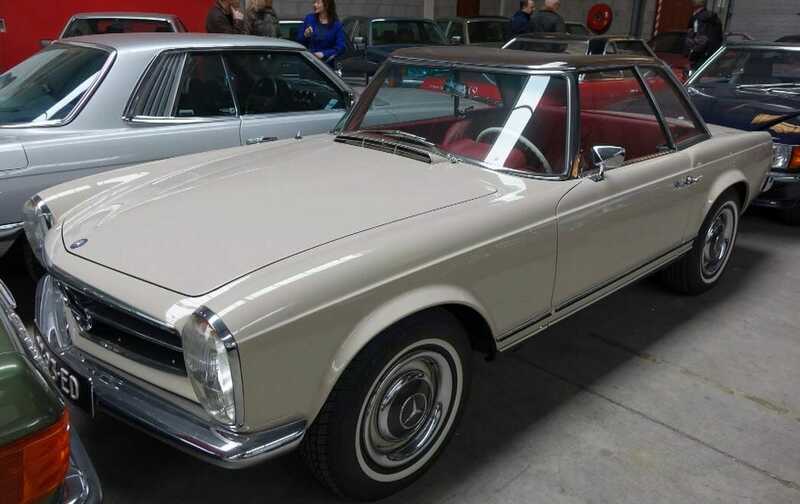 This is the model with which the Schwabische brand intends to compete with Rolls-Royce. 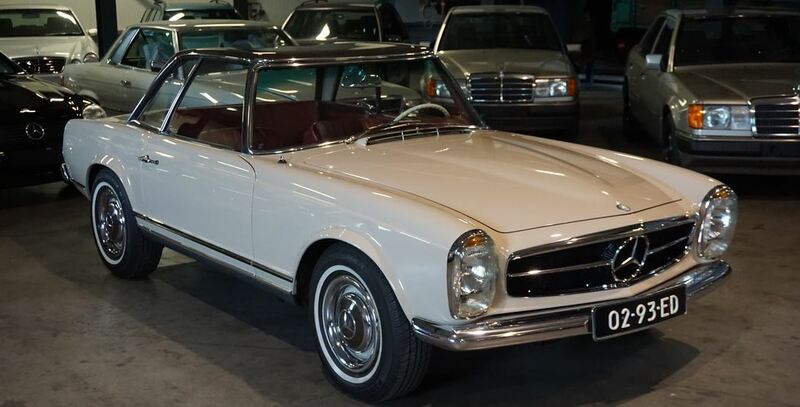 Friend and foe agree that the self-predicated ‘best car in the world’ appropriated by the British brand in reality is probably more deserved by the German product. However, the market has a different view. 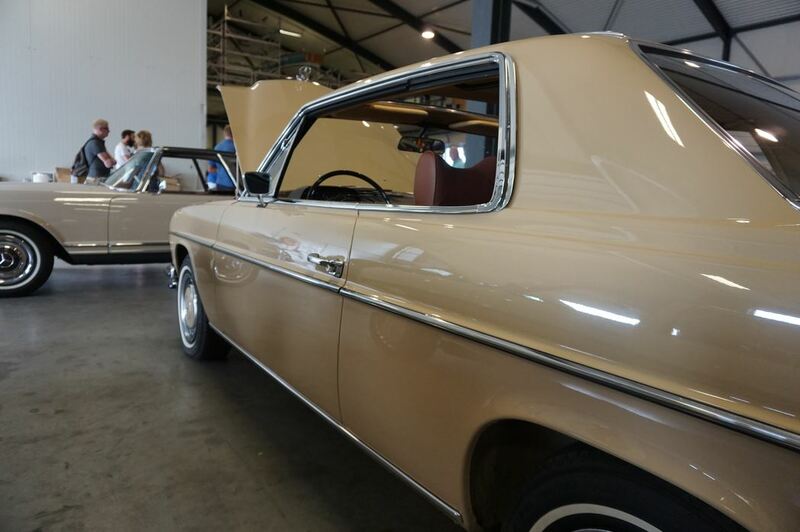 Ockhuisen:’’in the eighteen years this model was sold only 2667 were produced’’. ‘’This was just a little more than Rolls-Royce produced in one year’’. 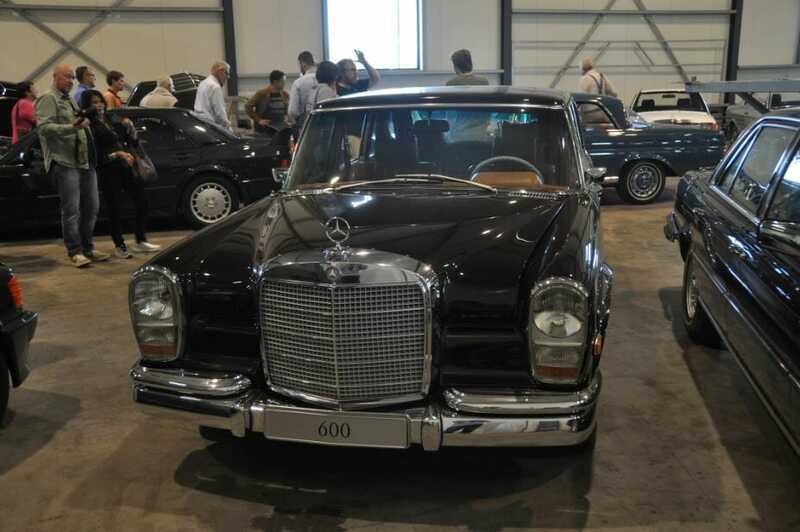 When it was introduced the 600 was priced at 75.000 guilders. 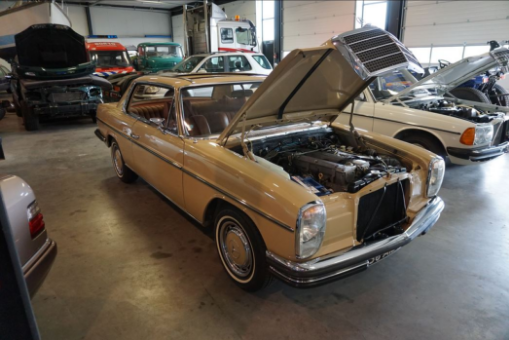 At that time you could buy fifteen Volkswagen Beatles or five Mercedes-Benz 200 for the same money. The car we see here actually comes from the United States with the mandatory side mark lights. De brown body paint with cognac interior combination give the care a chic and elegant appearance. 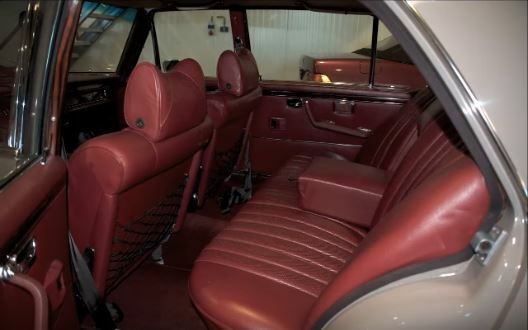 Taking a seat in the back seat is an interesting experience as the seating is as soft as a waterbed. 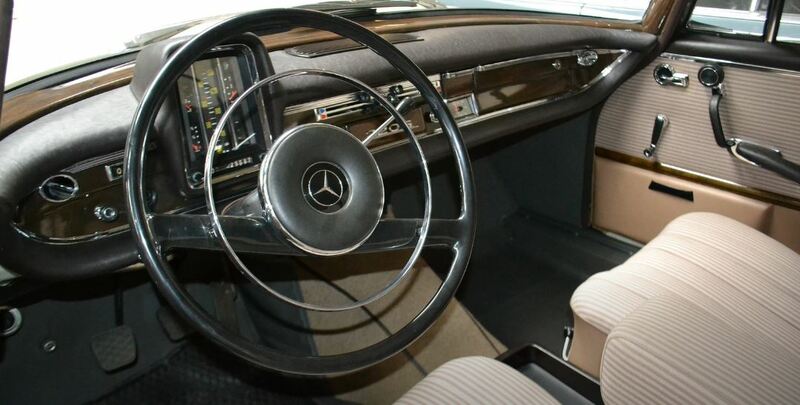 As high end luxury motor vehicle manufacturer you would not be able to get away with this nowadays. 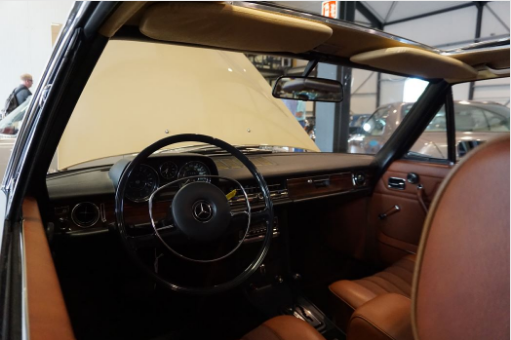 However, as with many things that change through time, the quality criteria one had to adhere too to be considered high end luxury motor vehicle manufacturer have changed. 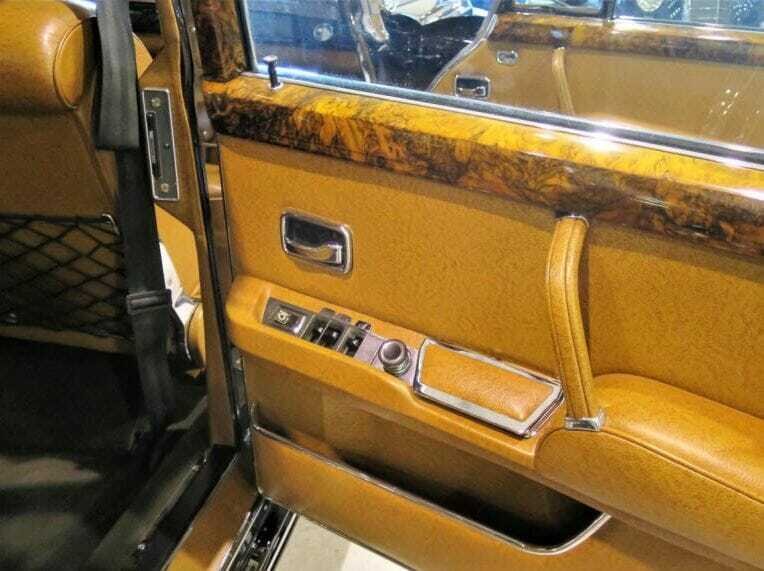 With one push of a button in the door the rear bench slides the forward and tilts slightly. 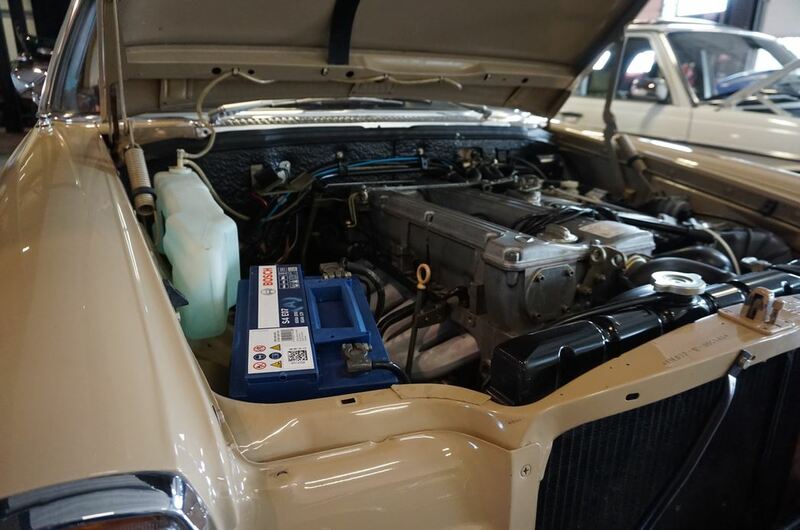 Here a hydraulic system has been used which is also used for opening and closing the windows, the sunroof and the trunk. 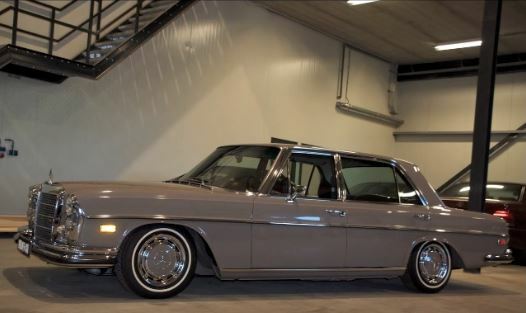 For maximum comfort the car has an adjustable air suspension. Small curtains on the rear window provide the required level of privacy. 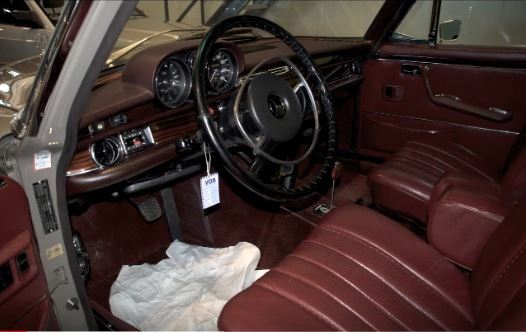 To align with the British competition the dash and doors haven been finished with beautiful polished wood. A built-in Becker Radio has been incorporated into the doorpost. 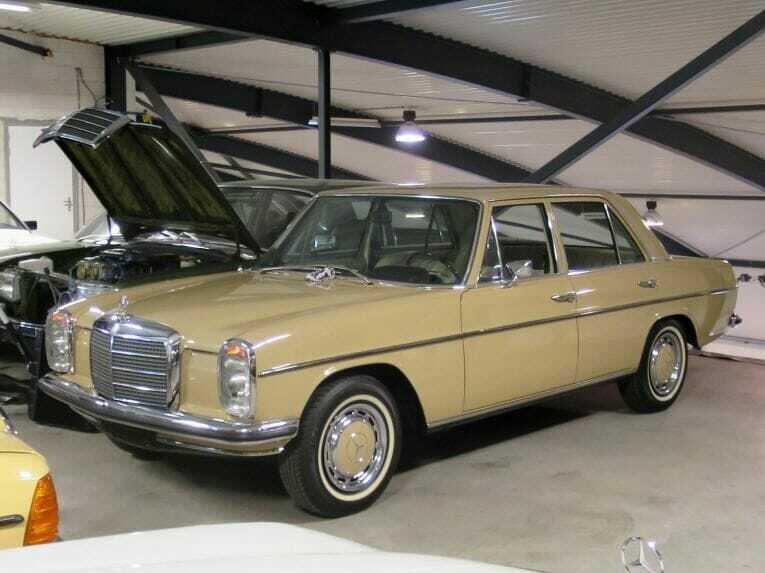 The Mercedes-Benz W113 series was produced from 1963 until 1971. 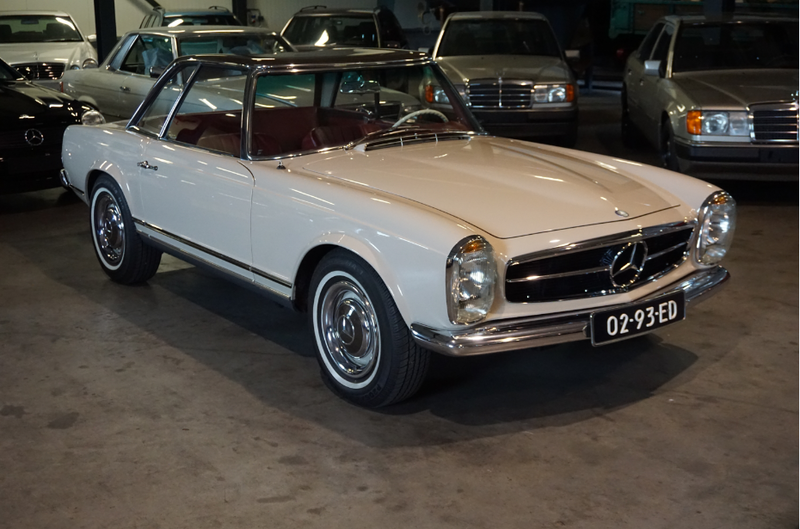 In total 48.912 vehicles were produced of this model. 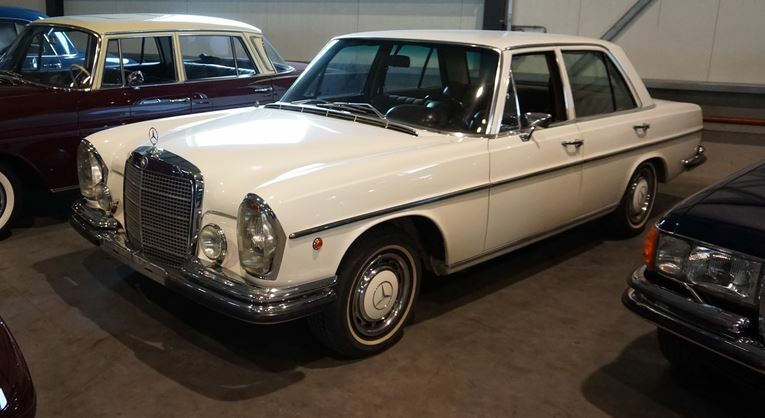 The Mercedes-Benz W108 W109 series was produced from 1965 to 1972 \\. In total there were 383,361 made. 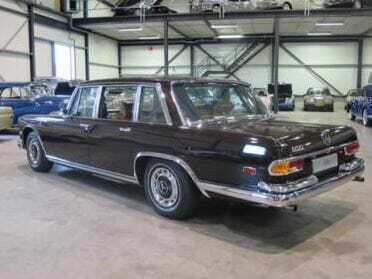 The Mercedes-Benz 300 SEL 6.3 is a luxury car built by Mercedes Benz from 1968 to 1972. 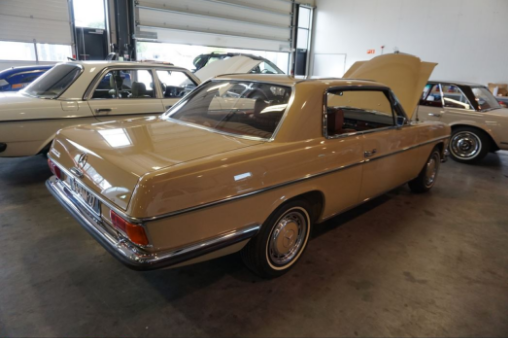 It featured the company’s powerful 6.3-litre M100 V8 from the luxurious 600 limousine installed in the normally six-cylinder powered Mercedes Benz 300 SEL. 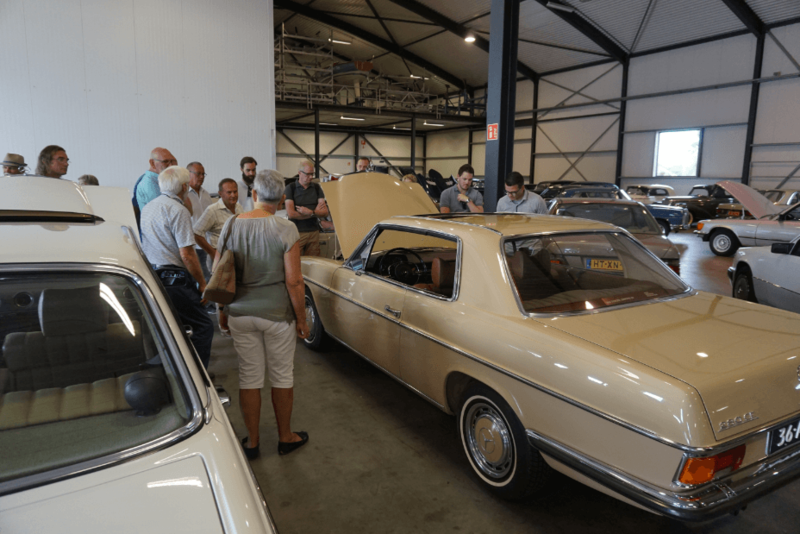 The result was a nearly 2-tonne saloon with performance similar to most dedicated sports cars and American muscle cars of the era. 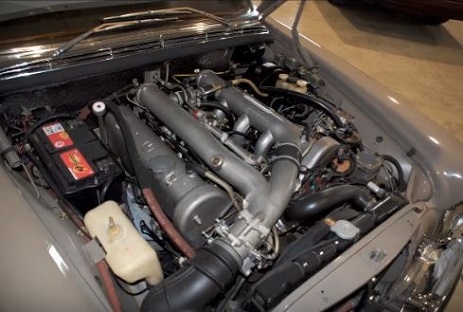 At the time of its release it was the world’s fastest four door car. 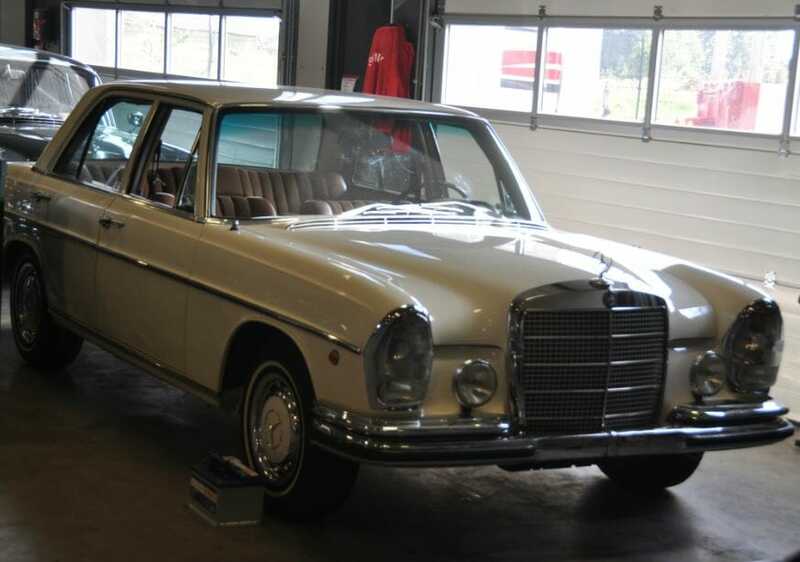 The Mercedes-Benz series W114 W115 was built from 1968 to 1976. 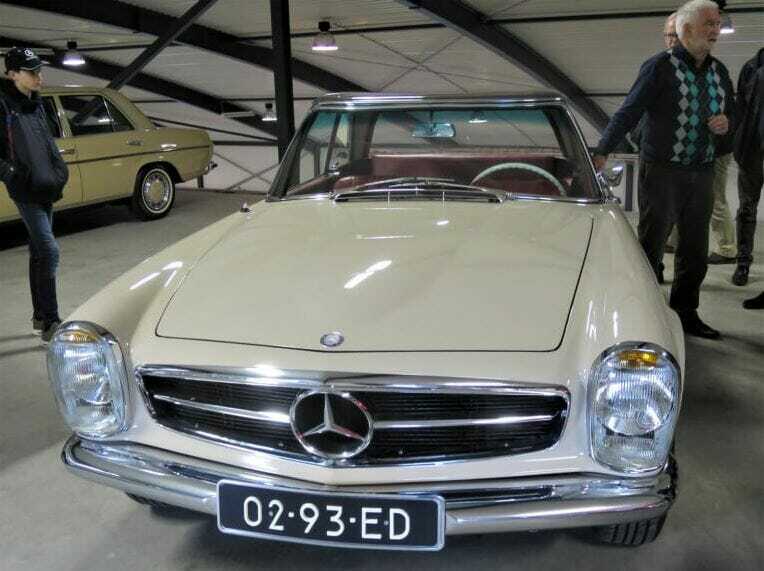 This series is also referred to as/8 (“Strich-eight”) because of the introduction year 1968. 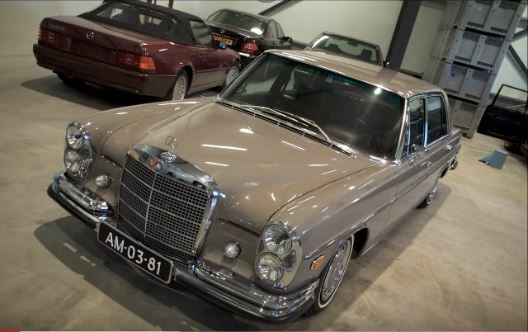 "Click on this button" and discover the Ockhuisen Car Collection from the seventies.